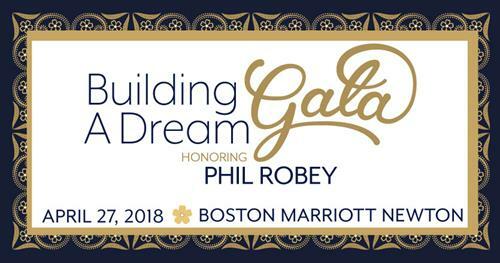 Join us at the Charles River Center’s annual Building a Dream Gala at 6:00 PM on Friday, April 27th at the Boston Marriott Newton. This year we are excited to honor Phil Robey of Needham, for his 24 years of dedicated service on the Charles River Center’s Board of Directors. It’s an inspiring evening with cocktails, silent and live auctions, dinner and a program. Proceeds benefit the 950 people with developmental disabilities supported by the Charles River Center in Needham and Natick. Tickets are $175 each. To purchase tickets or a sponsorship, or for more information, visit www.charlesrivercenter.org or contact (781) 972-1030.